the dealer of deeds, the seller of souls. burn the incense, the sacrifice on coals. in that vest, oh so tweedy? What voodoo do you do, underneath the star? 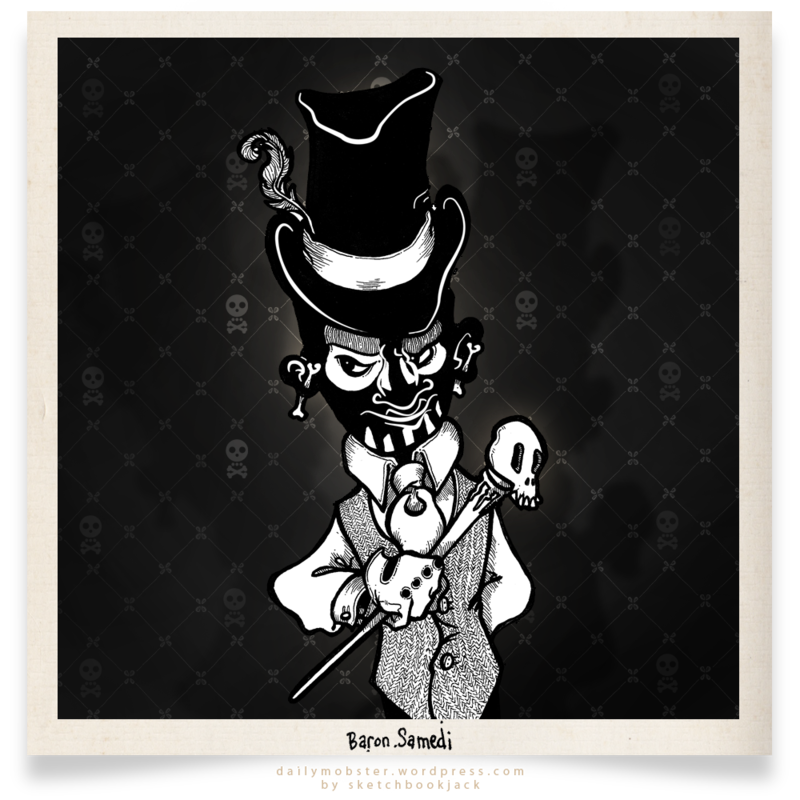 Watch out for Baron Samedi. he’s in it to win it, just show what you will sell. and you’ll be, forever, indebted to his spell. greedy, making deals so seedy? Watch out you Baron Samedi. That kid is SPOOKY! Time to turn on all the lights in the house. Turning out the lights is not recommended, also, don’t split up to go see what that noise was, and don’t go upstairs. Ooo! Perfect for Halloween – love him!